A new unlock has been discovered that works for all iPhones and all 5.x firmware versions, all basebands are supported. The method discovered by Loktar_Sun appears to exploit a logical bug in Apple's server and can be performed on any jailbroken iOS device. 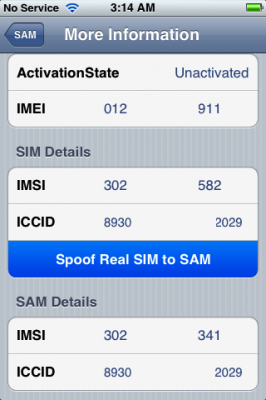 His procedure involves using Sam Bingner's SAM (Subscriber Artificial Module) package to perform a series of steps that unlocks your phone to use a specific SIM. It has been confirmed working by iPhone Dev-Team member MuscleNerd who notes an update may be coming to SAM from @sbingner to make the procedure simpler. We will post detailed step by step unlock instructions soon. UPDATE: Tutorial is ready! You can find it here. А смысл в ДАННОМ анлоке, если симку менять невозможно!!!! смысл очень простой - чтобы появилась возможность звонить. хотя бы с одной симки. можно прописать и несколько, но процедуру надо делать для каждой.